Nice to meet you! I am a data specialist with a passion for data visualisation and modelling. My name is Hugo. 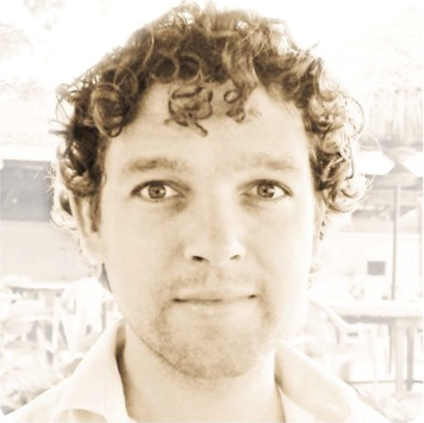 I am a data specialist from Utrecht, The Netherlands and I have over 10 years of IT experience. Throughout this page you'll find some examples of data visualizations in D3.js. For more projects, have a look at my Github repositories, or visit my LinkedIn profile for more details. Data Science is the extraction of knowledge and actionable insights from large volumes of structured and unstructured data. Combine raw data from a variety of sources, both internal and external, and ingest it into a suitable data processing environment. Fill missing values, normalize and infer new features to create a clean and enriched data set. Plot exploratory figures to get to know the data, find outliers and anomalies, and identify potential predictors. Gain a deeper understanding of the data and apply suitable models to learn the message that is hiding in the data. Validate the model and verify the hypothesis. Prepare intuitive, visually appealing content that summarizes the lessons learned and, most importantly, tempts users to take action. Delivery of a daily auditing service in the healthcare sector and development of data products that monitors revenue (actual and forecasted) versus budget. Implementations of document management and workflow solutions in the financial sector. Implementations of document management and workflow solutions for government agencies. Specialized in Distributed and Embedded Systems. Graduation thesis on peer-to-peer technology in printer networks. Internship at ASM International in Phoenix, AZ. Blocks are small pieces of code to show off the cool stuff that I've made. Have a look, you'll get the gist of it.